Diversified Technologies, developer of Simtrak™ Envision, a pioneering sports injury registry product, has recently established its development base in Singapore, joining the city-state’s vibrant infocommunications sector. Singapore incorporation specialist Rikvin applauds the move, stating that Singapore’s world class infocomm infrastructure provides an ideal platform for Diversified Technologies to bolster its global Simtrak™ brand. “Diversified Technologies has developed and launched a worldwide injury registry product called Simtrak™ Envision, a one-stop resource for comprehensive sports medicine documentation and international injury research,” explained Stephen Thorson, Director of Business Development at Diversified Technologies. Simtrak™ Envision is a web-based sports medicine documentation and injury registry that features a suite of advanced, readily accessible tools. 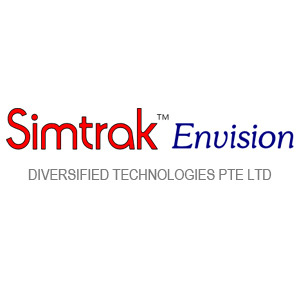 With this flagship product as a focal point, Diversified Technologies hopes to promote Simtrak™ Envision to medical researchers and professionals across the world. “We have placed our servers in Singapore to take advantage of the city-state’s outstanding technology, drive for innovation, and excellent infrastructure. We also intend to base our future development and support teams here,” Mr. Thorson added. Singapore’s infocomm sector is a bustling industry with an enormous potential for further growth. For 5 consecutive years, Singapore has been in the top 3 spots of the World Economic Forum’s Global IT Report. A major contributor to the economy, Singapore’s infocomm industry raked in revenues amounting to S$83 billion in 2011, indicating an 18% growth from the previous year. Meanwhile, Diversified Technologies credits Rikvin for helping them during the transition. “Rikvin has been wonderful to work with. Their support and knowledge are first class. I would not have been able to successfully secure my Singapore employment pass without their guidance and assistance,” Mr. Thorson concluded.